Ubisoft’s Far Cry series is no doubt a pretty popular one at this point in time, with the Far Cry games being some of the most loved in gaming. And the series has offered superb first-person action set in exotic locations like Far Cry 3’s Pacific islands, or Far Cry 4’s Himalayan country of Kyrat. And now the upcoming Far Cry Primal will take gamers to a rough and brutal prehistoric world, one without basic amenities and accommodations, and one in which humans dwelled in caves. And those looking to experience the conditions in which early humans lived and spend a night in a cave can now enter Ubisoft’s “Cavebnb” contest (see trailer below) by sending a tweet to the French video game publisher, explaining the reasons why they actually want to spend a night in a chilly and inhospitable cave, according to the contest website. 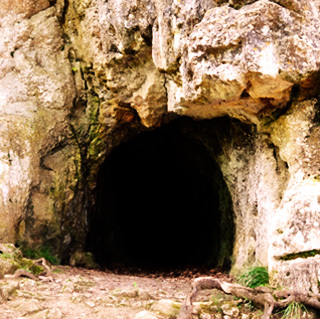 And clearly more than one adventurous type will want to win the prize, which includes paid travel to the French Pyrenees, a night in a hotel room in the city of Lourdes and training with a survival expert before spending the night in the cave. But will this be a pleasant experience or not? Ubisoft’s video shows oversized worms within the cave, and threatening wolves roaming about, so this might be everyone’s idea of fun. Also, despite the fact that the cave includes “100% natural heating”, the bathroom is located outside it, and giving the freezing temperatures in this French region at this time of the year, this is likely to be a survival experience many won’t be fond of. According to the contest’s website, “you’ll have to deal with an inhospitable environment and survive in the most extreme conditions, spending the night in a cave with very few comforts”. Fancy spending a night in this cave? But still, this is certainly a clever way for Ubisoft to market their upcoming title Far Cry Primal, which is a game that perhaps could be limited by its prehistoric setting as we’ve argued before, as there were no guns or vehicles in those times, and Ubisoft did not take the sci-fi route and feature dinosaurs in the game.